Gentle Folk, a growing yet extremely boutique label produced by Gareth & Rainbo Belton in the Basket Range pocket of the Adelaide Hills, is a philosophically and stylistically distinct project that in its three years of business has been embraced dramatically & passionately by local & international wine lovers & trade alike. Gareth & Rainbo, two genuinely gentle folk have a connection to their home and a focus on what is local to them. In these wines that connection & desire to express the immediacy of this place in the glass is clear. The wines are made from pristine fruit from organic & sustainably farmed vineyards all visible from the home winery’s outlook. This sense of the hills is what is at the core of the wines, far more so than a statement of varietal composition. In fact, the wines are labelled with no varietal reference whatsoever. 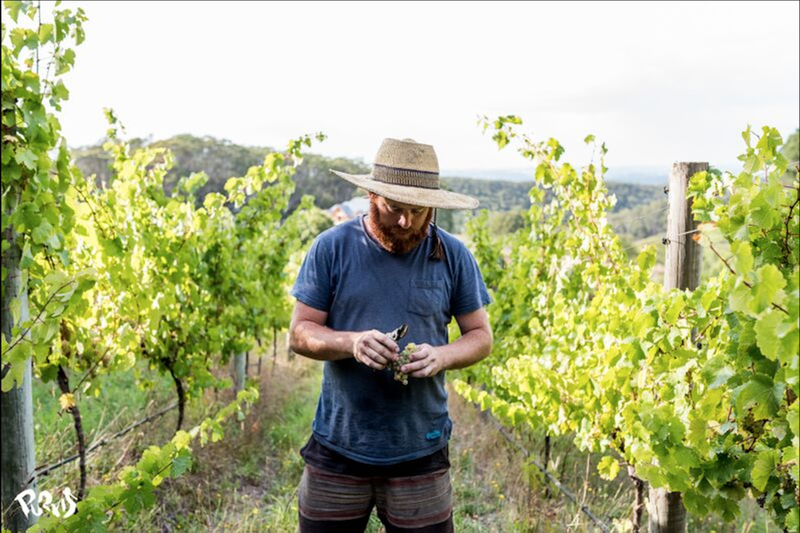 The largest source of fruit to Gentle Folk is the Scary Gully Vineyard in Basket Range, which is managed organically by Gareth. The organic Norton Summit Vineyard is managed by friend Mark Whisson. A third vineyard, Brodericks, provides Petit Verdot. The wines are vinified, raised and bottled at Gareth & Rainbo’s winery, situated on a downhill slope at the rear of their Basket Ranges home. All wines are naturally fermented with no additions except homeopathic doses of sulphur prior to bottling. The wines are not fined or filtered and are moved only by gravity.